An event to raise money for the Geeks Out Organization, by raffling of original art donated by artists and fans of George Takei. The event is in New York and is on Georges 75th birthday, April 20th. 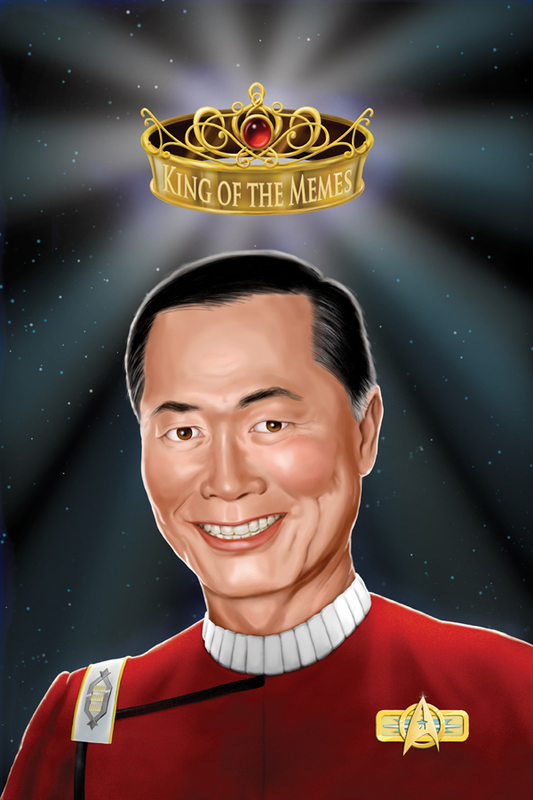 Read more about… Geeks OUT, Takei Back the Night. Tim Paul is a Manhattan based illustrator and cartoonist. His work has appeared in such magazines and Lakelandboating, Chicago Magazine, InsideCouncil, and NeXT magazine, for which… Show more. Send a message directly to Tim Paul. Disney Interactive, Marvel Entertainment, New York Times, Imagination Publishing, DerbyJackpot.com, Catchwords, MIT, NeXT Magazine, Lakeland Boating, McGraw Hill. Tim Paul is a Manhattan based illustrator and cartoonist. His work has appeared in such magazines and Lakelandboating, Chicago Magazine, InsideCouncil, and NeXT magazine, for which he’s done 3 illustrations a week for the past 11 month. Other clients have included Disney Interactive, Marvel Entertainment, The New York Times, MIT, Catchwords, and McGraw Hill He writes and publishes his own comics; his last book was Kool Aid Gets Fired, a parody staring the Kool Aid man. His comics have also appeared in Young Bottoms in Love and Boy Trouble. You can see more of work at www.glitchwork.com. Clients: Disney Interactive, Marvel Entertainment, New York Times, Imagination Publishing, DerbyJackpot.com, Catchwords, MIT, NeXT Magazine, Lakeland Boating, McGraw Hill.